From director and cinematographer Isabel Darling, “Corey the Warrior” is an inspiring 3-minute look into the life of artist Corey Stewart, a young Aboriginal man who finds his passion through painting after defying the odds following a car accident that left him with a traumatic brain injury as a child. Ahead of its screening July 9th at the Melbourne Documentary Film Festival, Darling gives us an inside look at how the film came to be and what the most rewarding and challenging aspects of working on this uplifting short doco have been. Documentary Drive: Can you tell me how you first learned of Corey’s story and how the idea for the film came about? 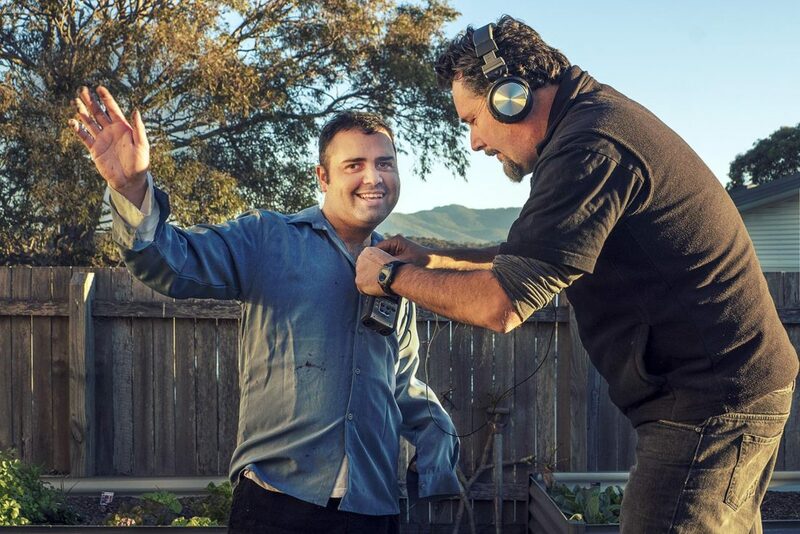 Darling: The film was made as part of the ‘Createability’ grant offered by Northern Rivers Screenworks, Screen NSW & the ABC – which enables regional filmmakers in NSW to produce films about artists living with disability. I learned about Corey through my local Council and when I spoke with him and heard more details about his life and everything he’s achieved I knew he was perfect for the project. When we met he invited me into his world, showed me his artworks, and I loved the stories behind them, as well as his positive outlook on life. Documentary Drive: The cinematography throughout the film is captivating, particularly your close-up shots of Corey’s art and paints, how many hours of footage did you capture and did you have a game plan going into production as to how you wanted the film to look and feel or did your shooting perspective and style evolve on the spot or perhaps even later while in post-production? Darling: There was a huge emphasis on pre-production for this documentary. There were stakeholders involved and lots of hoops to jump through, so I needed to have quite a clear idea of what I was going to create. My idea was that through the film, we are on wide shots of Corey until we see him with his art and then it becomes more intimate and personal, we are in the space with him. I had a shooting script that helped with the locked off shots, and the painting sequences were a bit more candid. I also wanted the colour blue to be dominant in the film, as Corey lives in a town that’s known for it’s spectacular blue waterways (Narooma, NSW). We shot the film over 2 separate days, and recorded the interview at the end of it all once Corey was completely relaxed with us. Documentary Drive: As a cinematographer who also happens to be a woman, do you have any advice for other young women out there who might be interested in pursuing careers behind the camera? Darling: It definitely hasn’t been easy to keep up the confidence sometimes. I worked for free on so many shorts when I finished uni in Melbourne, spent a good 10 years trying different things, and was often one of the only females on set. So I think you’ve just got to keep on pushing, don’t give up, and don’t listen to anyone who says you should change careers! Personally, it’s the most creatively rewarding job there is! Documentary Drive: What were the most challenging and rewarding aspects of making this film for you? Darling: I had never worked with so many stakeholders before and other people who needed to sign off at every step of the process, so that was difficult, but I feel it all paid off in the end. I truly enjoyed working with Corey on this film, he really was so great to be around. We had long shooting days and Corey was tired but he persisted and worked so hard to make sure we got everything we needed and always with such a happy way of looking at things. Making this film has definitely encouraged me to steer my work towards more documentary storytelling. 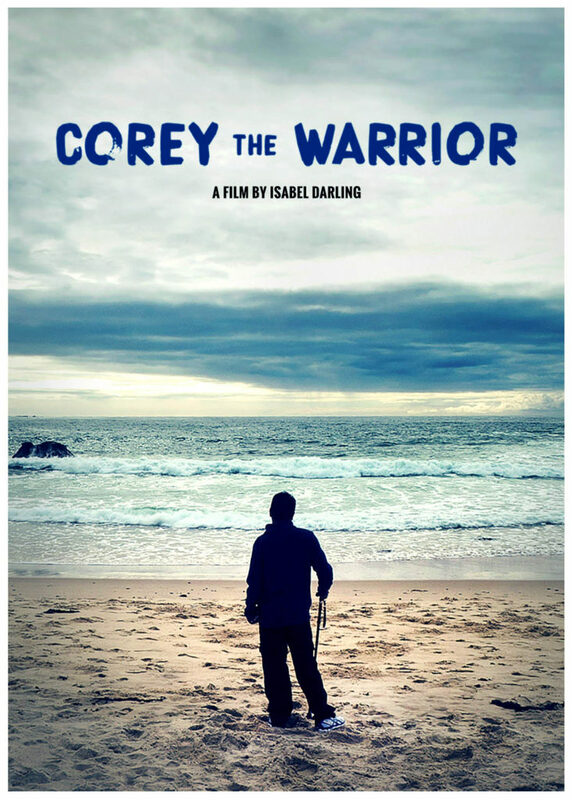 Documentary Drive: And finally, if there’s one thing you hope the Melbourne Documentary Film Festival audience takes away and remembers about “Corey the Warrior,” what would it be? Darling: I think at the end of the day, it’s a piece on bravery and defying the odds. So I’d like people to admire Corey’s courage, and his amazing attitude towards life. “Corey the Warrior” screens July 9th at the Melbourne Documentary Film Festival. Tickets are available through Moshtix.